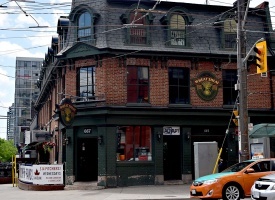 Wheat Sheaf is among the city's oldest watering holes and is something of a Toronto institution whose continuous operation actually dates back to 18 years before Confederation. 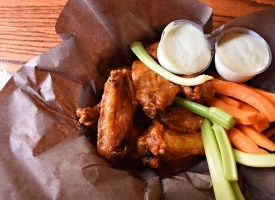 As any excellent tavern would, this place features heavy wooden tables bowing under the weight of frothy pitchers and stacks of sticky wings (sold at half price on Sunday through Tuesday). 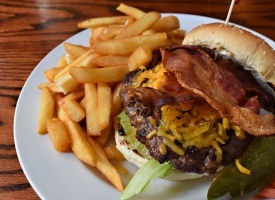 Wheat Sheaf has a kickin’ jukebox, a rollicking atmosphere, loving tributes to its storied history and celebrity patronage on the walls, televised sporting events spooling out from a whack of flat screens, a popular 60-seat patio for warm-weather imbibing and a multitude of fiercely loyal patrons.